“The baton is not a magic wand – it cannot join together the fragmentary work that Mozart composed in the face of death. Yet, in Abbado’s hand, the baton could become a guide to the mysterious, sublime, consoling legacy of Mozart.”(Deutschlandradio Kultur) Mozart did not write his Requiem as despairing funeral music for his impending death. Rather, the piece proclaims eternal light and redemption. 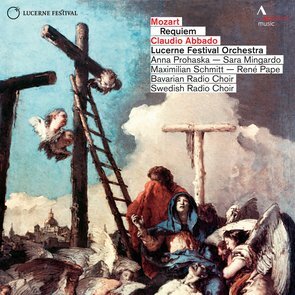 Together with a first-class quartet of soloists, the choirs of the Bavarian and Swedish radios and the distinguished musicians of the LUCERNE FESTIVAL ORCHESTRA, Claudio Abbado uncovers this more hopeful and forgiving essence of the Requiem.